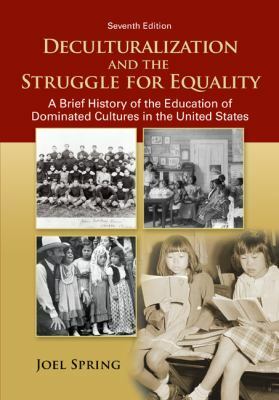 Deculturalization and the Struggle for Equalityis a brief history of school polices affecting dominated groups in the United States. In seven concise chapters, the text looks at the educational, legal, and social construction of race and racism, with a focus on educational practices related to deculturalization, segregation, and the civil rights movement. books and the most recent are How Educational Ideologies are Shaping Global Society; Education and the Rise of the Global Economy; The Universal Right to Education: Justification, Definition, and Guidelines; Globalization and Educational Rights; and Educating the Consumer Citizen: A History of the Marriage of Schools, Advertising, and Media.